Most all of us are leaders in some capacity. Whether we lead a successful business of a hundred employees or we lead our local saturday morning golf extravaganzas, we are faced with the reality that our leadership, at some point, will hit ‘the lid’. What then? Once we hit ‘the lid’ its easy for some to feel like they have tapped out their God-given ability to lead and, others, rise to the challenge to raise ‘the lid’ in order to be more effective. Since you are reading this blog on leadership you are probably one of those that don’t give up to easy, but fight to continually raise ‘the lid’. How is done? Is there a magic word; a prayer to pray; or certain super food that will get us there? 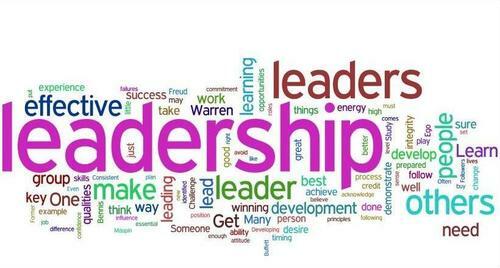 It is my thought that leadership is not just born, but learned. All leaders are learners, but not all learners are leaders. Yes, I do think some people are born with certain personalities that help them lead better, but anyone who is a leader must work to sharpen their skill and to continually raise their lid. Sometimes that looks like surrounding ourselves with greater leaders than ourselves so that we would learn and be held accountable. We need to recognize our strengths and weaknesses and seek mentors. We need to look in the mirror sometimes and self-reflect on our own leadership so that we would not always find ourselves in the most comfortable position but constantly pushing ourselves outside of our comfort. A great leader also knows what it takes to be led. I don’t want to be good. We are called to be excellent. I want to be excellent. Make sure you are leading your family. Measure success not by business world, but by family. What is your moral compass. Not just leading by example, but planting seeds. Can see the seeds mature. Helps us, helps them. Think about the questions I ask. I was comfortable, wasn’t growing. I need to look in the mirror and ask myself tough questions about role model behavior. Leadership means constantly learning. Get outside my Comfort zone. I tend to shy away sometimes. I need to keep Pushing those boundaries. Self reflect. Be held to another level of accountability. Where did I fail as a leader (when something goes wrong). We are not all great leaders in every thing. We should seek mentors for areas of weakness. Raising ‘the lid’ isn’t easy. Its tough work, but in it is reward. Lead strong. Lead faithfully.